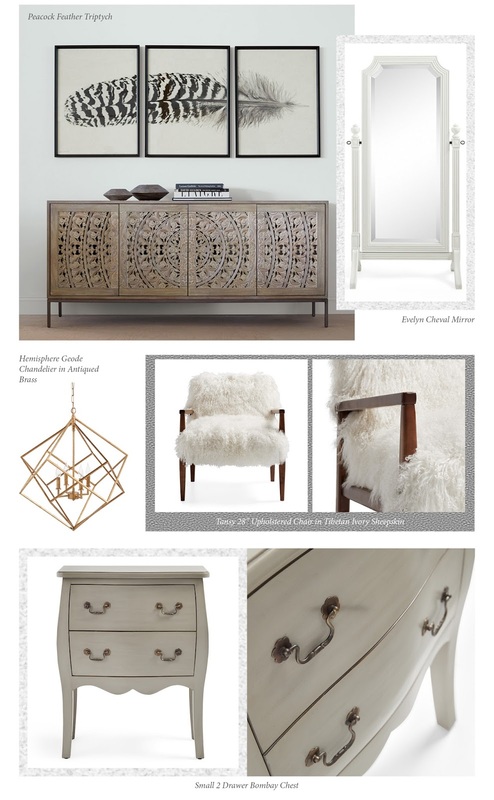 Photos from Pinterest & Arhaus, Layout designed by Cinthy Kwok. I always have this fantasy of having a walk-in closet/ dressing room of my own. This fantasy started ever since I watched "The Princess Diaries", the romance-comedy genre movie which was starred by Anne Hathaway. I was amazed by the life of a princess she had, especially the dressing room which was featured in the movie. I bet that every girls has their own fantasy of becoming a princess such as having a wardrobe which is full of fancy dresses, or having a collection of make-up stuffs and etc. While in my own way, I dream of having a dressing room of my own with minimalist design and stuffs. And through this USA based furniture company Arhaus, I can finally create the dressing room I have been dreaming of ever since I was a little girl. I have been wandering around Pinterest, looking for some inspirations whether it is about room designs, or graphic designs and I found a lot of dressing room which perfectly meets my expectation. I am not a fan of interior design but if I had to choose, I'd love to pick the clean and minimalist design as my favorite. The collection in Arhaus that especially stood out to me was this Tansy 28" Upholstered Chair in Tibetan Ivory Sheepskin. I always love having something fluffy and there's this chair, which would be great to be placed inside the dressing room, since I could spent hours standing in front of my closet deciding what to wear and get tired after. And one of the furniture I love the most is from the lighting collection. The modern touch and geometric shape of this Hemisphere Geode Chandelier in Antiqued Brass will be the greatest highlight of this dressing room. How would you decorate your dream dressing room? I'd like to know more, let me hear in the comments below! I also dream of having my own walk in closet!! Love your furniture suggestions, the chair is absolutely stunning!! walk in closets are everything ... can't wait for the day that happens to me haha!! Walk in closet is just right for my clothes, shoes and bags haha! me too! clean minimalist is my favorite. Oh my gosh, Princess diaries has ruined me for life. It's still one of my favorite movies, and I'm still waiting for someone to build me that walk in closet. I would just have little white shelves everywhere, especially one wall, which would be devoted to a wall of shoes. I'd also have a cute chair in there, plus some brass pegs to hand my hats, scarves and necklaces. Now I just need someone to build it. These pieces are absolutely a dream to have in a dressing room. I would love to have a walk in closet that fits everything I have. SO much interior inspo, NEED everything!!! This closet is to die for!! I want a walk in closet one day!! Great post doll! Those are lovely inspirations! I love the dainty furnishings - this is a dressing roam goal no doubt! How organised your place is. Loving the vibe. Great post!